The ribeye that I'd removed from our freezer the other day required multiple days to be fully consumed. Tonight we began round two of our battle with the enormous ribeye. 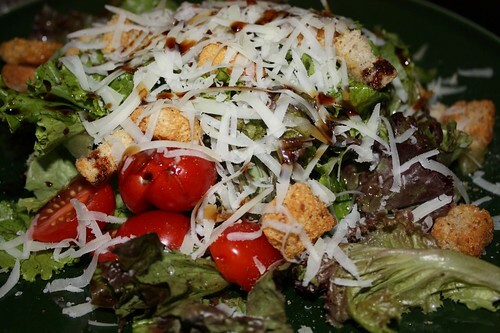 But first we had two weeks worth of salad greens from the farm that I combined with grape tomatoes, croutons, balsamic vinegar, olive oil, and shredded Córdoba. The salad greens were getting slightly elderly but overall it was a pretty tasty salad. The ribeye preparation was a touch unorthodox. I started by browning some garlic, onion, and fennel (all from the farm) then hitting it with some steamed baby beets (also from the farm) at the very end. 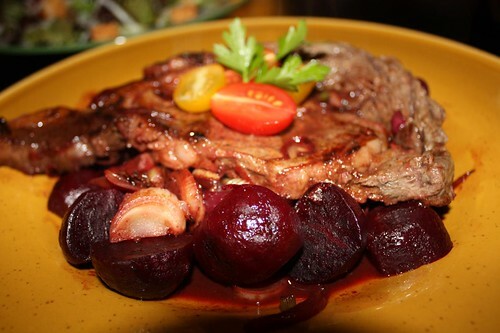 I seared the ribeye with the sauteed vegetables and hit it all with some red wine. I don't know if I'd necessarily recommend this preparation but it was interesting. What it excelled at was in utilizing many neglected vegetables from weeks past. * This is not an actual book. ** My "cellar" is actually a rack from Crate & Barrel. *** None of this actually happened ****. **** Except that we did actually have this wine. 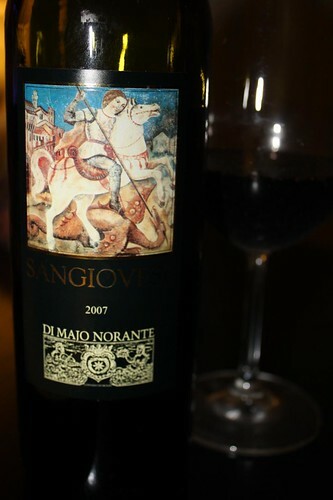 In fact it was the first red wine that I found.